Hey there! Yesterday I showcased one of my favorite travel outfits and of course, comfort and style were key elements. Today I want to share a few of my travel style must haves from Nordstrom. I really love their in store and online selections and actually plan to purchase a few items from them for upcoming road trips/wardrobe purposes. Their anniversary sale is coming up, so it’s the perfect time to take advantage of the awesome deals they’ll have. Let’s take a look! 1. Sleeves Trench. 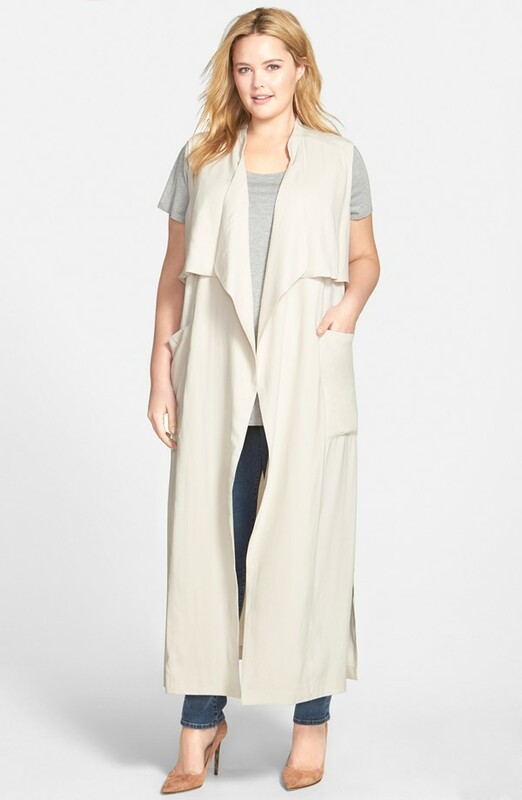 I’ve been eyeing this trench for months and I’ve been waiting for the price to drop. Patience paid off because now it’s $77 instead of the original $129 price tag. I scooped up the item online and cannot wait to rotate it during the summer and fall season. It’s lightweight and perfect to add to any travel style outfit. It’s a chic piece and although it’s khaki colored, I still plan to style this with some travel outfits during the early fall. 2. Screen Tee-Shirt. 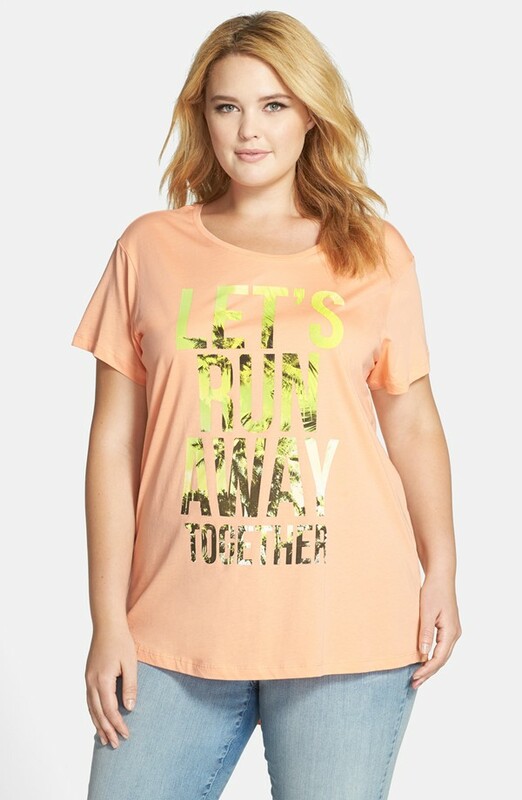 While I may not purchase this particular tee, the style and color is perfect for my travel style! A good lightweight, colorful and fun tee shirt is a great addition to any travel style. Tee shirts like this are a must have because they’re also easy to pair with denim, shorts, or even a maxi skirt and it’s also easy to fold and pack a few of these in a suit case. 3. Denim Capris. 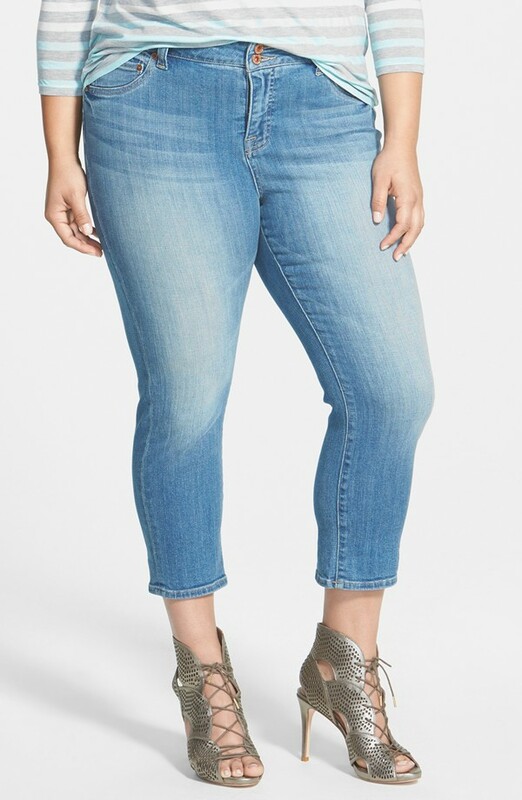 I love a pair of good denim and this Lucky pair happens to be on sale. This is another item I’ve watched for a while and I’m thrilled they’re finally on sale. It’s a tedious task to find denim that’s made well, so I often shop at Nordstrom or Macy’s to score the Lucky, Seven and Micheal Kors brands. They work for my shape and the price isn’t (usually) outlandish. 4. Jumpsuit. My travel style usually consists of a few maxi dress or a few jumpsuits. If you follow along with me on Instagram you know that lately I’ve been all about jumpsuits this season. So when I saw this Jessica Simpson one I was hooked! I love a jumpsuit while on vacation because it’s an easy item to dress up or down. I suggest light weight material like cotton or polyester. That material is breathable and more than likely, you won’t have to iron after unpacking. 5. Nightgown/Tunic. 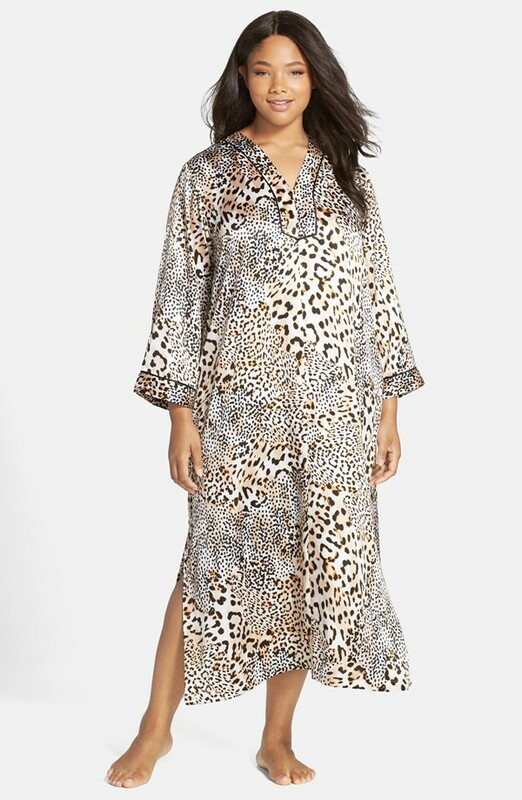 I absolutely LOVE to sleep in long tunics/caftans when traveling. Something about sashaying around in your hotel room while wearing one is so chic! This Oscar de la Renta option is a bit pricey, but every now and then it’s OK to splurge on a designer item. Especially if you’re like me and you know the garment will get lots of wear. 6. Swimsuit. Of course a swimsuit is a must for travel style. A pretty and bright colored one, with ruching to conceal the tummy, is perfect! I’m a fan of one pieces, although I do wear a two piece here and there. If you’re into the one piece look, this La Blanca number is a great option. 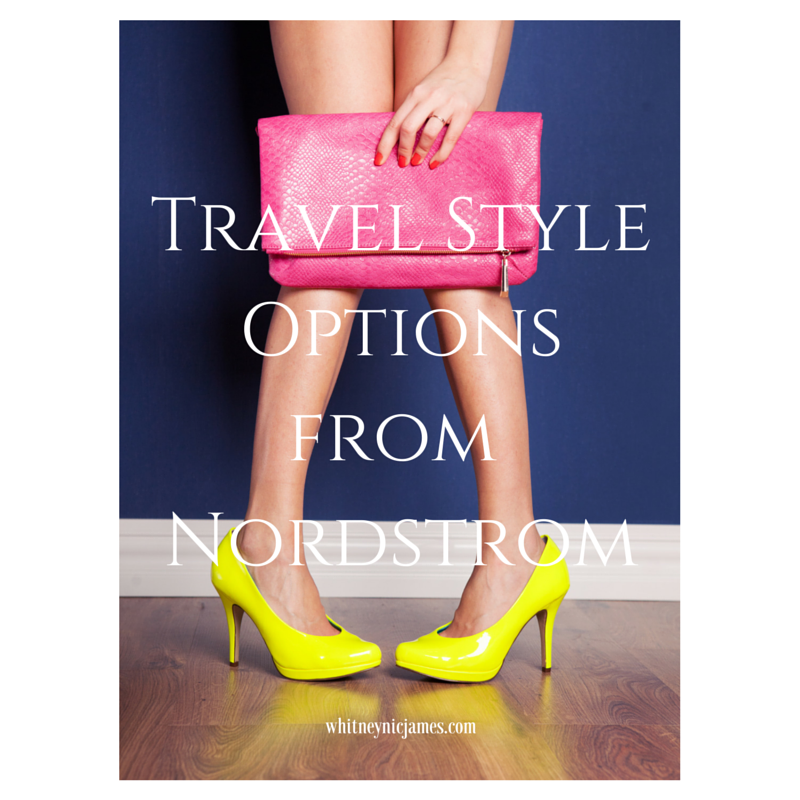 So tell me, what do you think about my Nordstrom picks for travel style? Anything catch your eye? Let me know! As always, I thoroughly appreciate your comments, shares and feedback! Don’t forget to show off your personal style by linking your recent OOTD pots(s) here. Until tomorrow, be blessed and stay safe…XO! Great choices, I really like the long trench, the cute tee and the sleeper tunic!! these are some great picks!! !